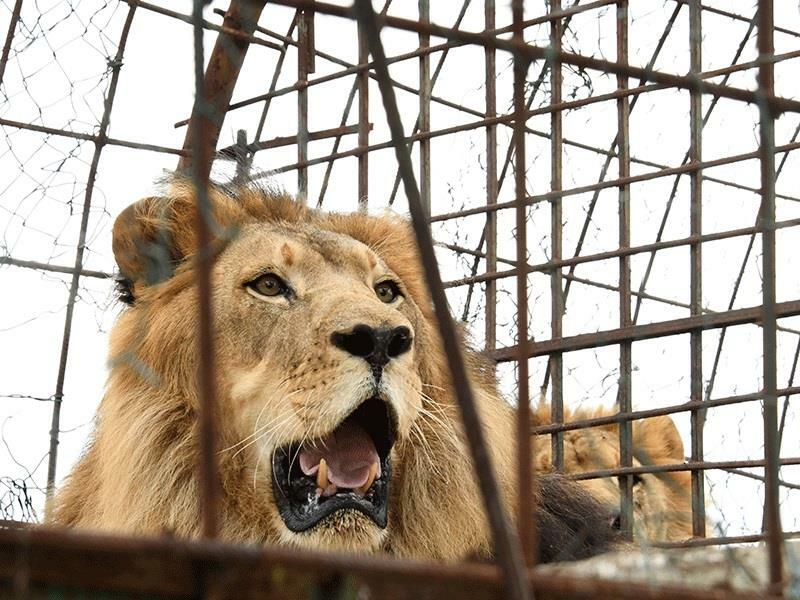 NEW DELHI, Jan. 21 (Xinhua) -- A man was mauled to death by lions inside a zoo in northern Indian state of Punjab, officials said Monday. The incident took place inside Chhatbir Zoo, about 20 km west of Chandigarh, the capital city of Punjab. "Yesterday in the afternoon, a man scaled the boundary wall which is around 30 feet high and jumped inside safari, an area meant for lions," M Sudhagarb, Chhatbir zoo's field director said. "Right inside there, he was mauled by the lions." The zoo officials said his screams alerted the staff, who rushed to rescue the man. "Though rescue teams immediately went inside and rushed him to the hospital, however he succumbed there," the official said. The identity of the deceased person was not known. Zoo officials said the man was attacked by an Asiatic lion, an endangered species. As per the 2015 census, there were 520 lions in Gir forest in the western Indian state of Gujarat. Following the incident the zoo was closed for visitors. Authorities have kept the dead at civil hospital in Dera Bassi, Chandigarh, and were waiting for someone to claim it. "Police have also advertised the body type, height and picture of the deceased man to help them get in touch with his family," a police official said.